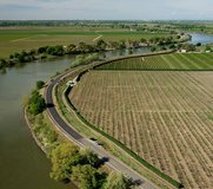 Synopsis: The Sacramento Delta region is well known for its strong roots in agricultural and its quaint towns that stretch along the river for miles. It’s these qualities that also limit the healthcare resources available to those who live and work in the region. After meeting with several organizations and community members the message was clear: “we need healthcare in our community”. With that, Celeste, Rebecca, and Justin began working towards bringing healthcare services to the Delta region through collaborative efforts with neighboring towns. This project embodies the mission of CHPT by doing with and not for the community. It has ABCD at its core by focusing on assets and by collaborating with service providers in neighboring cities to make it happen – everything from location, design, supplies, staffing, and patient outreach. This project continues to move forward with three new Family Medicine residents picking up where it was left off.